Clearly, online sales were key. According to The Washington Post, “Amazon announced record-breaking sales from the 2017 holiday season, with more than 1 billion items ordered worldwide. In a single week alone, more than 4 million people signed up for a trial of Amazon Prime, a premium membership that comes with expedited shipping and other benefits.” eMarketer estimates that total online sales in 2017 reached approximately $452.76 billion, a 15.8% increase over 2016. Online sales now make up 9% of total retail sales, and Forrester projects that that to increase to 17% by 2022. Mobile commerce sales grew 38%, representing more than a third of all ecommerce sales. Business Insider reports that November 28, 2017 – Cyber Monday – was mobile commerce’s first $2 billion day. Retailers imported much of 2017’s merchandise, according to Global Port Tracker, a monthly report released by NRF and Hackett Associates. Retail imports increased 7% during 2017, compared to 2016 levels, a record-breaking result. While the report states that the rate of import growth is expected to slow in 2018, there is no foreseeable decline in cargo volume. By 2020 total retail sales are projected to be $5.48 trillion, up from $4.35 trillion in 2012, reports Statistica. 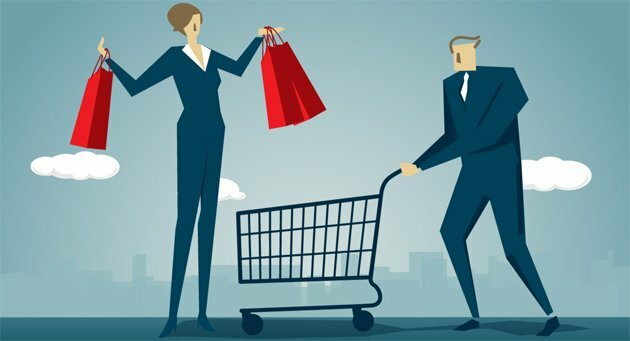 The future looks bright for retailers as long as they continue to develop the capabilities and capacity to meet the changing demands of omnichannel and e-commerce. That's why UNEX is attending the 2018 Retail Supply Chain Conference in Phoenix, Arizona from February 25-28. Our order picking and material handling solutions are ideal for retailers who need to maximize space usage while minimizing order fulfillment time and errors, a must when competing with the giants of the e-commerce retail world. Ready to step up to the e-commerce challenge? Visit us at booth 452 at the RILA show, or contact your friendly neighborhood Pickologist!